As they walked across the Lowe’s parking lot, he reached for her hand. Our youngest daughter slipped her hand into his, dancing more than walking as they entered the store. A couple of nights later, the four of us went to the backyard to admire the girls’ latest addition to their nature center. He put his arm around our older daughter’s shoulders and pulled her close as they walked. My girls need their dad’s touch. They need to know they are loved, not just through words, but by actions – one of which is touch. A good-bye kiss when he leaves for work and a bedtime hug and kiss are a start. But the little touches at other times build security and make their relationship stronger. By laying this foundation of closeness now, we pray that our daughters and their father will go arm-in-arm together through the coming years. I totally agree!! I can remember holding my Dad's hand as a teenager walking down the street. The hugs and shoulder touches are so important!! There is just something so sweet about seeing DH and DD having those special unforced moments! How lovely! He is being a great example for them to know what they look for in a future husband but also having Him giving something that they long for, will help them not seeking it from another man until ready! I believe you are exactly right. 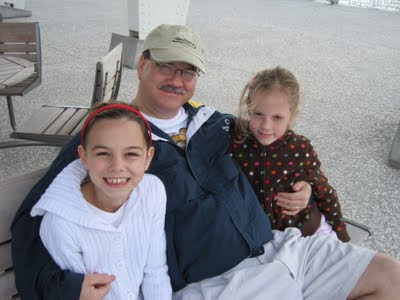 Especially during their teenage years, the hugs and affection from Dad fills that need for love and esteem from a man.